My husband and I are often asked how to keep your art glass sculpture secure. We have an interior design video tip on one of the ways that we keep the glass from being knocked over from pets, earthquakes, etc. Please check out our video to watch as I demonstrate using poster putty. 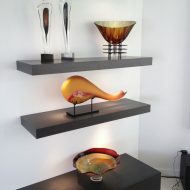 Have more questions or concerns on art glass sculpture, please do ask us! 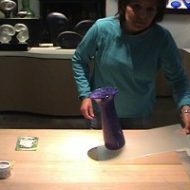 To watch How to Keep Your Art Glass from Falling Video.